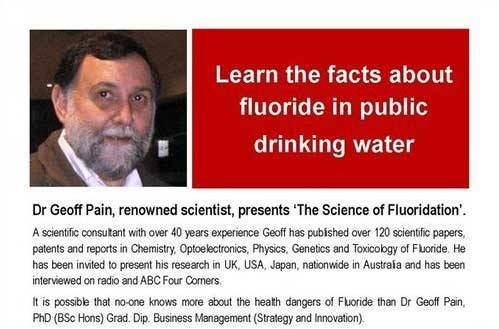 Anti-fluoride campaigners always promote people like Geoff Pain as “renowned” or “world experts.” They aren’t. Pain has no credible scientific publications on fluoride. Mind you, the word “correlate” appears only twice in the document – once in the title and once in the abstract. Nowhere else. Scientists usually restrict the use of words like this to results of proper statistical analyses – but he presents no evidence of a correlation anywhere in the document. But, perhaps he is on to something. Irrespective of fluoride (he has a hangup about that element) perhaps lead is somehow implicated in oral health problems. So let’s see what the document actually claims. Of course, he doesn’t consider for a minute any of the many studies providing evidence of beneficial effects – he just relies on the naive use of selected World Health Organisation (WHO) data which the Fluoride Action Network is well-known for. I have written about this before (see, for example, Fluoridation: Connett’s naive use of WHO data debunked). 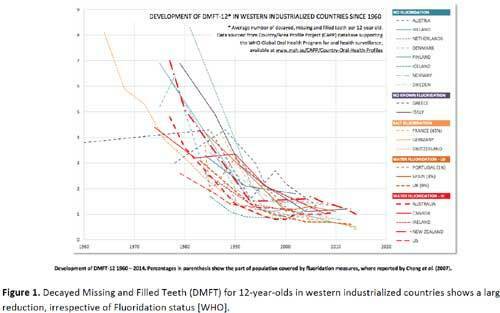 This simply argues that the fact that oral health has improved over time in both fluoridated and unfluoridated countries is “proof” that fluoridation has no effect. I can accept that – but certainly would not go as far as Pain’s claim that “lead exposure reduction as the major factor in tooth decay decline.” In fact, the articles he cites suggest that the association of lead exposure with tooth decay is probably weak in most cases. But it’s still not evidence that lead is the major factor involved. I wonder if those who indulge in citation trawling ever actually read the papers they cite. 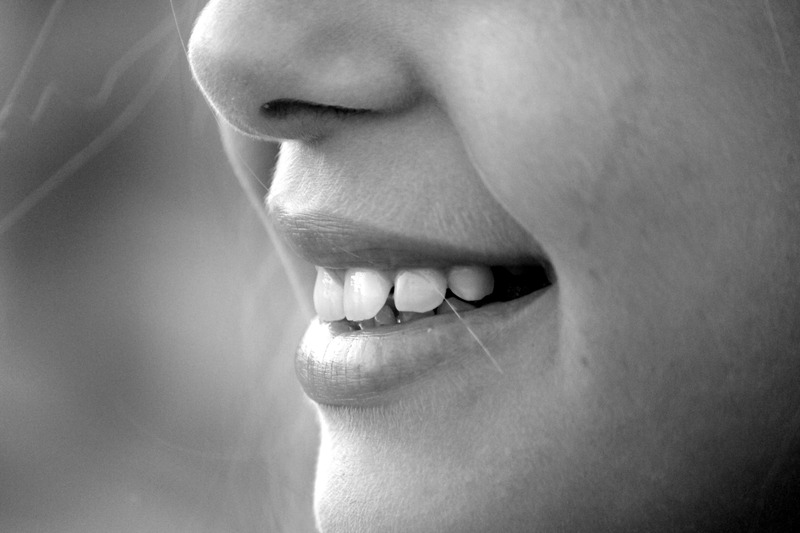 Far from Pain’s citations being evidence of a lack of effect from fluoridation, in almost all cases they suggest the observed effects could be due to modification of the more important effect of fluoride on oral health. Come on Geoff. Spend some time and actually read the articles you have trawled for your citations. The first point about lead contamination of fluoridating chemicals relies in a naive interpretation of the certificates of analysis required for these chemicals. Just because a very low concentration of lead is recorded in these certificates does not mean this causes an increase in dietary lead intake. I showed in the article “Chemophobic scaremongering: Much ado about absolutely nothing“ that the fluoridating chemicals contribute less than 0.05% to the lead in tap water – already present from natural sources! Pain’s reference to “exacerbation of Plumbosolvency” relies on a limited study which reported an association between blood lead levels in children and the treatment of tap water in the US. Of course, the release of lead from pipe fittings can be a problem irrespective of water treatment – which is why authorities recommend one should let the water run for a while first thing in the morning to get rid of such impurities. However, the studies Pain relies on seem to attribute plumbosolvency to specific chlorinating chemicals rather than fluoride. One can make a simple check, however. In New Zealand authorities regularly make chemical analyses of their tap water available. These do not show increased lead concentrations after fluoridation. So, again, Geoff Pain has indulged in citation trawling and confirmation bias to produce this report. The citations he uses do not support his claims. Dietary intake of lead may be one of many factors influencing dental health – but his citations do not in any way support his assertion that it is the “major factor”. Nor do they support his claim that fluoridation does not have a beneficial effect on oral health. In fact, it is Geoff Pain, not health authorities, who is making the “false” and “absurd” claims. Kids may not know to run the tap to waste before filling their cup or bottle. I have found it hard to find out about what is done to water when it is being fluoridated. Water treatment can have addition of sulphuric acid at an early stage in the process. Later on some of the alkalinity may be returned to it. Does the figure depend on whether fluoride is to be added? Water of lower alkalinity may have less calcium/magnesium in it. Water can have been a significant dietary supply of those healthy substances. It is more likely that water will be treated if it be fluoridated. It is possible that fluoridated water will have more tendency towards acidity than untreated water so greater likelihood that lead will dissolve into it from brass taps. Water treatment is locally specific. It depends mostly on the quality and characteristics of the source water. pH and alkalinity are adjusted into a range specified in the Drinking-water standards of NZ 2005, revised 2008 (I’m sure you can google these). I’m not a specialist water treatment engineer, but I think I’m safe in telling you that pH adjustment is usually done with carbon dioxide and lime rather than sulphuric acid. The purpose of pH adjustment is to protect against excessive water hardness on one hand, as this can lead to scale deposits blocking pipes, and corrosiveness/plumbosolvency on the other hand which can dissolve metals from plumbing fittings. Hence the advice to flush water from your tap if if has been sitting overnight or longer. FYI, rainwater is highly plumbosolvent, and if you have a home rainwater tank it is a very good idea to ensure that you do not have lead fittings such as flashing or lead head nails on your roof. Did you have another question? An additional point of clarification: pH adjustment is carried out at the start of the water treatment process, both to ensure that coagulation and flocculation are optimised (they are pH dependent) and to protect pipes within the plant. And then the pH of the treated water is adjusted before the water leaves the plant, mostly to protect the distribution pipe network from corrosion. How much of the fluoridation adverse effects research has taken place in Wellington? Brian, what specific “fluoridation adverse research” (and where? – certainly not “world-wide”) do you refer to? Ken Carol gave Wellington water data and I ask what relevance that has to what you draw upon in your sections 1 and 2. To repeat: I am making the point that studies which claim good or bad effects of fluoridation need to be checked for the alkalinity of the non-fluoridated water arm of the study compared to fluoridated water arm. I hypothesize fluoridated water supplies may not have the alkalinity of non-fluoridated ones, so be more likely to dissolve lead from brass taps. Christchurch untreated water, except for aeration, goes to pH 8.2 after aeration. I suppose some other fluoridated water might be like Wellington water. My point is that the pH, on average world-wide where the fluoridation adverse studies have been performed, may not be brought back to a level which reflects the alkalinity or hardness nutritional level of untreated unfluoridated water. In Winnipeg they start by adding sulphuric acid and ferric chloride to make flocculation work. The Wellington reference you give states: “As river water enters the treatment plant, carbon dioxide and lime are added to adjust the pH and alkalinity of the water.” Carbon dioxide would lower pH and lime would raise it. Maybe they should be saying, “carbon dioxide or lime,” rather than “carbon dioxide and lime,” are added? Does it mean that the water coming in may sometimes have a pH too low for flocculation, requiring lime first? Hi Ken, I just read your original post in more detail. I agree with you about Geoff Pain’s claims. 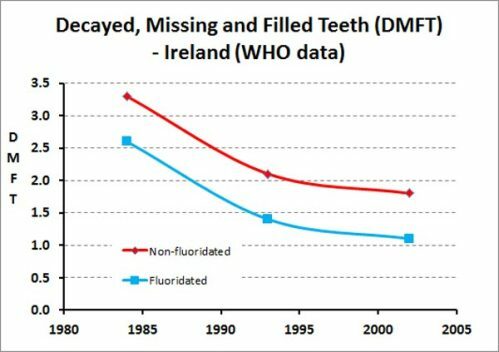 I can’t see any reason why fluoridation should have any effect on plumbosolvency. It’s only one system, but Wellington treated water is fluoridated and has lead levels that are <1 ug/L, well under the DWS-NZ maximum acceptable value of 10 ug/L. You get much higher levels in typical roof catchment rainwater tanks. Sorry Brian I can't really figure out what your question is. 'Average worldwide pH' is not a useful concept. As I was saying, water treatment is locally specific and designed for the characteristics of the source water. As Ken said, treated water is tested at various points in the distribution system. In New Zealand, levels of chemical contaminants must not exceed legally enforceable 'maximum acceptable values; (e.g.1.5 mg/L for F) and other parameters such as pH must stay within certain limits. It's rare in NZ for there to be problems with chemical constituents and I can't really understand what you are worried about. On the other hand, problems with microbial contaminants are relatively common and can be very serious. Brian, let me sum up: treated drinking water has to meet health based standards. If concentrations of, say, lead and fluoride are less than ‘Maximum Acceptable Values’ for a lifetime’s consumption, that means that the risks to your health are negligible. Carol the studies ought to relate to what the children were actually drinking. What comes out of their tap first thing in the morning may different from what leaves the water works where it was tested. Averaging pH between treated and untreated water is not as useful as knowing the actual figures where the studies were done, I know. I suggest the average pH may be higher for the untreated waters and so a trend may show. I did a reply to Ken but it is not showing up. But a “hypothesis is only of value if it is based on some evidence. Otherwise, it is an expression of a bias or belief and merely an attempt to search for confirmation. In this case, given the extremely low concentration of fluoride in water and the presence of buffering species one would be surprised if there is any measurable pH difference. Ken I did not say as a result of the fluoride in the water, but as a result of the treatment process associated with fluoridation. So besides the greater lead in the first glass of water in the morning for children in existing research papers who had not known to flush the tap first, there is also the lesser calcium/magnesium in their diet. Maori are more likely to be lactose intolerant so not drinking milk, so a greater proportion of their calcium would be coming from water for drinking and cooking and they would be disproportionately penalised by treated water or rain water. Brian, whatever – fluoride concentration or fluoridation the fact remains that you actually do not have a hypothesis. You have biased speculation completely devoid of any evidential basis. You do not support its postulation with, for example, evidence showing that fluoridation reduces the amount of calcium and magnesium in tap water. Nor do you provide a chemical basis for that speculation. Ca and Mg concentrations will depend on a range of factors and fluoridation or the presence of fluoride at such extremely low concentrations are unlikely to have any effect. And presumably it is even worse out of the tap first thing in the morning. Though it would be better to know actual lead levels in rain water supply areas and fed those into the studies, it might show a trend with the average drinking/cooking experience just comparing rain water and ground water arms. Oh, the dangers of presumptions. Most lead has now been removed from plumbing systems. And even if the first glass of water contains more metals eg from chrome plating on taps, that doesn’t represent your daily intake of water. Let’s be clear – plumbosolvency is an issue in NZ, as in general our source waters are quite ‘soft’. Most lead pipes have been replaced, but some brass alloys may contain lead. Hence the public health approach of advising people to discard the first 500 mL of water drawn from the tap first thing in the morning (this includes a safety factor, the internal volume of taps is more like 100 mL). I wouldn’t disagree that some more education may be needed on this issue. You know, Brian, science is not a closed shop. If you have a problem with the methodology of a particular study, you are completely at liberty to write a critique and submit it to the journal where it was published. Please allow for lead carbonate solution to be more dense than water and for it to flow down into underfloor pipes. Indeed education of scientists who are doing studies. This blog article is supposed to be about past studies. And you fail to understand confounding effects. Sigh. Brian, your comments are verging on vexatious. Lead carbonate is highly insoluble. It’s more likely that lead would be solubilised as its aqueous chloride. In either case, there’s no reason why a very dilute solution containing ug/L concentrations of lead would have a density discernibly different from tap water. There may be other confounding factors. Of course there is also water in food. Sometimes it may be from the porridge made from the first water from the tap. Are you suggesting that later drinking will purify the body of the lead from the early drink or meal? Somehow not too much I think because lead may be more soluble in blood than water. “Sigh. Brian, your comments are verging on vexatious. Bit of an over-reaction to a scientific mistake. Say 20 micrograms extra in a litre: would the physical processes discern it? But there is still diffusion. Yes it’s the other factors such as not bringing the pH/alkalinity of treated water back to the level of untreated water. Vexatious as your motivation appears to be to waste our time with your pointless musings rather than to learn anything. Ken are you intending the meaning of physically or chemically causing? Because I do not claim that. Or will you accept the sometimes used meaning of “is related to,” which can often be through an indirect path? In this case fluoridation is associated with water treatment which has other consequences. Sorry so far I have only related untreated Christchurch pH 8.2 and treated Wellington median pH 7.7. I know that is not enough. No my motivation is to clarify lacks.